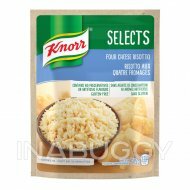 Treat your taste buds with Knorr Selects Rice Side Dish Rustic Mexican Rice & Beans (184g). 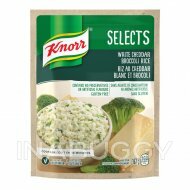 Knorr Selects are made without any artificial flavours or preservatives and is gluten free. 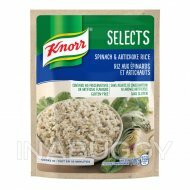 Knorr Selects Rustic Mexican Rice & Beans expertly blends rice with red beans, bell peppers and spices into a delicious rice dish. 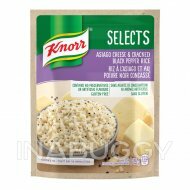 Knorr Selects rice sides are great as part of a delicious main meal or as a standalone side dish. 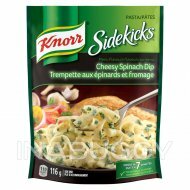 Make Knorr Rice Sides the foundation of a crowd-pleasing dinner. 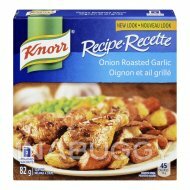 Your family is sure to love the savoury flavour of Knorr Selects Rice Side Dish Mexican Rice & Beans (184g). On top of tasting great, our Rustic Mexican Rice & Beans is made with no artificial flavours or preservatives and is gluten free. 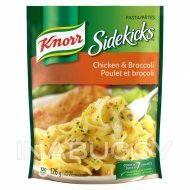 Knorr Selects are quick-and-easy-to-prepare. 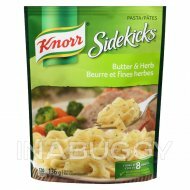 Knorr Selects cook in just 10 minutes on the stovetop or microwave.